Technical Electrical Engineering (TEE) Ltd is a family run firm of electrical contractors, based in Cornwall. 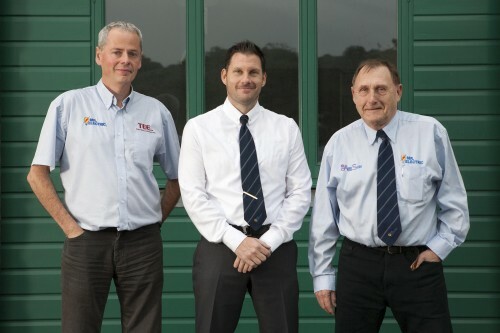 Over 25 years we’ve built a highly qualified and experienced team of electricians that are capable of carrying out projects of all sizes and descriptions. To see our current job vacancies click here. TEE specialises in new builds, construction, industrial electrical installations and solar PV. Through our franchises, Mr Electric and AireServ, we provide guaranteed electrical and air conditioning services to local homes and businesses. We pride ourselves on the highest standards of workmanship. All our engineers are fully trained, insured & DBS checked (the new CRB). Both TEE & Mr Electric have full membership of the NICEIC and are ‘Part P‘ registered. Aire Serv is on the FGAS register. TEE are also accreditated by the Microgeneration Certification Scheme (MCS) to install solar panels in compliance to industry standards and certified as a member of the Renewable Energy Consumer Code (RECC) Scheme backed by Renewable Energy Assurance Ltd (REAL). Our office operates to ISO9001 Quality Management standards, ensuring that jobs are well organised, and our team of electricians are managed efficiently. Plymouth into South Devon, from Tavistock to Kingsbridge. Whether for your business or at home, if you need an electrician, we can help! Just give us a call on 01872 553541 or fill in our enquiry form.